Salvaged from a watery grave by its never-say-die owner, one of Prague’s finest restaurants is again prepared to impress diners with the culinary expertise of its award-winning chef. Sanjiv Suri, citizen of Prague and native of India, has seen a lot of things come and go during his 12 years here, from collapsing governments to rebuilding economies, the growth of consumerism and the death of pub food as the last word in local dining. But in the summer of 2002, Mr. Suri saw something most extraordinary of all: one of his restaurants disappeared. Well, not completely. The top half-meter or so remained visible, while the raging waters of last year’s flood poured through the riverside building as though it were a large piece of outdoor plumbing. For Suri, it was a visual association with the location’s storied past, as a home to water wheels powering nearby mills, that he’d much rather have avoided. Mlýnec has now fully recovered – polished, primped and ready to receive guests. 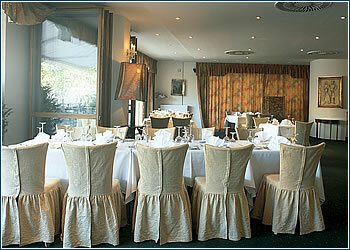 He arrived here in 1991, following a career in hotel management. Being the sort who prefers eating out (otherwise known as a bachelor), he quickly realized Prague was sorely lacking. “If you (eat out) for six weeks, and can’t get one decent meal, it’s clear you’re not the only one having that experience,” he says. So he promptly opened the still extant restaurant V Zátiší, to which expats soon flocked en masse. Parnas followed in 1992, U Modré růže in 1993, Avalon and Circle Line in 1994, U patrona and the Corona salsa bar in 1995. Parnas moved to Bellevue in 1997, and Corona was transformed into Mlýnec in 2000. A catering business also emerged somewhere along the way, and now accounts for, by Suri’s estimate, some 30% of his company revenues. This is an impressive list of triumphs in what is a notoriously troublesome line of business. Suri points out that the steady clientele is made up of locals both Czech and foreign. Business, more than a year after the flood, is brisk – but it could be better. “It’s not quite running at full steam,” says Suri, adding, “it’s one of the top five restaurants in Prague, but it has the potential to go further.” Suri is one of those rare people who can then go on to say, “we intend to double its revenues in the next 18 months,” and have you actually believe him. SUMMER is in its twilight, but there’s still time to take advantage of the city’s exceptional terrace restaurants. Here’s a few of our favorite venues that offer the true meaning of “dining out”. 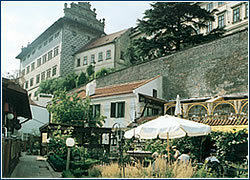 · Bazaar (Nerudova 40, Praha 1) – Mediterranean meals served on one of Prague’s best terraces, overlooking Malá Strana. · Gastro Žofín (Slovanský ostrov) – This neo-Renaissance chateau also features an impressive garden setting, with views of the Vltava. · Lví Dvůr (U Prašného mostu 1, Praha 1) – Sample suckling pig while taking in the sights of the cathedral and castle gardens. · Olympos (Kubelíkova 9, Praha 3) – Hungry in Žižkov? 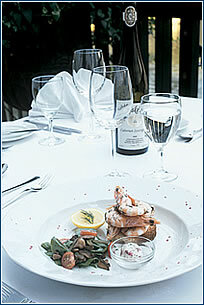 Come here for fresh seafood and the tranquil garden. If you’d like to return to the past, take a short jaunt out of Prague to Červený Újezd. Pavel Orna built a castle there as a museum for his collection of 20,000 items documenting peasant life. Rustic costumes, furniture, toys, tools, kitchen utensils and other things that illustrate what the world was like in those days. In this town you will feel closer to our ancestors when you have lunch at one of the local restaurants, four of which are in the castle itself: Panská krčma (The Gentlemen’s Tavern), Stodola (The Barn), Vinný sklep (The Wine Cellar), and Rybářská bašta (The Fishermen’s Good Eats). The first two are open daily, the last two are open only with prior reservations. 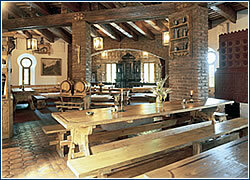 The castle, surrounded by greenery, is a great destination for a weekend excursion, and children are always welcome. Take a bus from the Zličín stop, or drive towards Karlovy Vary, then follow the signs from the village of Jeneč.